TEETHING IS NO FUN for babies or parents. 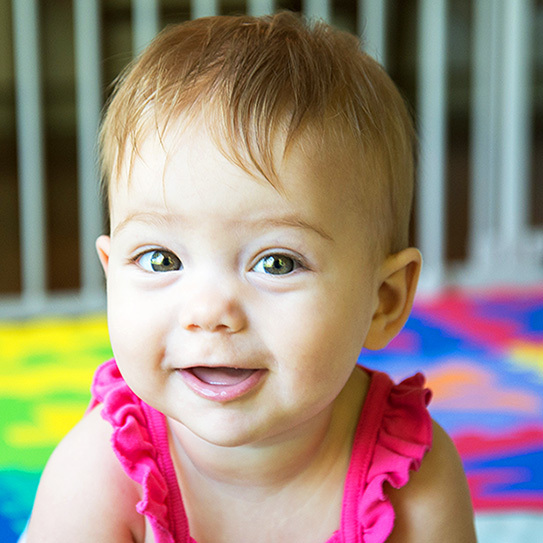 Some babies’ teeth erupt with no problems at all but for others, it could be a long and painful process. Besides giving your child plenty of tender loving care, here are some things you can do to care for your child’s mouth during the teething phase. When your little one finally starts teething, it’s normal for them to be fussy and irritable. Common symptoms are difficulty sleeping, decrease in appetite and increased drooling. It’s also normal for their temperature to increase slightly when they’re teething, however, high-grade fevers are not normal. If your child seems overly cranky or has a high fever, call your physician. When teething begins is different for each child. While the average time teeth begin to appear is around 4 to 6 months, teething can begin anywhere between three and 12 months. Massage their gums. The counter pressure of your finger helps ease teething pain. Use teething rings or toys. Even a simple chilled washcloth will work. Chewing soothes the baby as counter pressure relieves pain. When chilling toys or rings, remember to refrigerate instead of freeze. Relieve pain. Talk to your child’s doctor about pain relief if your little one seems to be having a more difficult time. Appropriate dosage of acetaminophen may be beneficial during especially painful teething episodes. Avoid teething medications that contain the pain reliever benzocaine. And when your baby is in the thick of teething, just remember what an important milestone it is. Teething, like crawling, walking, and talking, shows that your child is on the right track developmentally. The American Dental Association recommends taking your child to the dentist as soon as the first tooth appears and no later than their first birthday. Once the teeth appear you can also begin brushing. Using a soft-bristled toothbrush, start brushing your child’s teeth twice a day. Since very young children have not yet learned not to swallow toothpaste, use only a smear of fluoridated toothpaste or the size of a grain of rice. Good oral care starts from the beginning of your child’s life. We’re here to help you every step of the way! If you have any questions concerning infant oral health care or teething, call or make an appointment with us today. Baby teeth may be small but they’re important! We can’t wait to see your little one’s bright smile! Top image by Flickr user Donnie Ray Jones used under Creative Commons Attribution-Sharealike 4.0 license. Image cropped and modified from original. Got Receding Gums? Click here. The entire staff is so kind and considerate that over the years my anxiety has diminished. They are my "dental family". Just had an extraction and cannot imagine a better dentist! My experince with Dr. Behner and staff seriously changed my life. I’m 52, and feared the dentist since childhood, after terrible visits. Over 5 years ago, I found Dr. Behner after doing an internet search for sedation dentistry. At my first visit, even before my sedation appt., I knew I had found my dentist for life. The atmosphere, the staff, and the dentist, all give a sense of comfort and peace. I’ve never once been afraid again, and actually look forward to my appointments! I had put off having dental work because of anxiety. I’m so glad to have been referred to Dr. Behner many years ago. Being able to have IV sedation enabled me to get the work done that was needed. Dr. Behner and his staff are so understanding. My bite is better due to crowns and I’m no longer in pain. Thank you, Dr. Behner. I no longer “dread” the dentist. I know I need some extra pats and such to get me ready, and they always have been there to smile and reassure me! It’s extremely embarrassing to have so much fear but they are there not judging by comforting me! Dr's Behner and Pence provide an outstanding service and I am glad they are my dentist. Their staff is awesome also. Dr. Behner runs a fantastic and very professional practice. His Dental Hygienist did a wonderful and pain-free cleaning. Always an excellent experience! Dr. Behner and his staff and just the best. They are worth my families 1-hour drive! 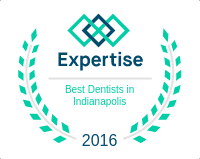 Dr. Elton D. Behner, DDS has been awarded as a top Dentistry practice with some of Fishers's best Dentists. Fishers dentist Dr. E. Dale Behner provides exceptional cosmetic dentistry, dental implants, holistic dentistry and sedation dentistry services for the Indianapolis, Fishers 46038 and 46037, Carmel 46033, Noblesville, and Westfield, Indiana areas.